Samhain is back with another novella in their horror line that is just bristling with energy, viciousness, and an 80s slasher appeal that leaves no corner of the horror genre to rest. Gifune is in top form here with Catching Hell, unleashing a barrage of classic b-movie intensity and a writing style worthy of being compared to my beloved Richard Laymon, and the Splatterpunk legends of yore (even if they hated the title). So, buckle your seatbelts kiddies. We’re about to go on a ride. As fall approaches and the summer stock theaters on Cape Cod close for the season, three promising young actors and a stagehand pile into an old Ford Fairlane and head for a vacation resort in Maine. Hoping for a relaxing getaway before pursuing their dreams, the instead encounter a bizarre storm while on a lonely stretch of highway and soon find themselves stranded in the strange rural community of Boxer Hills. At first glance it seems a harmless little backwoods town, but Boxer Hills has a horrible secret and a deadly history. It’s a place of horrific age-old rituals and a legendary evil that will let no one escape without paying a terrible price. Before the sun rises on a new day, they will have to fight their way through the night and out-of-town, or risk falling prey to a demonic creature so profane few will even speak its name. They were young, reckless and chasing Hell. What they hadn’t counted on was actually catching it. When Samhain launched their horror line with Don D’Auria at the helm, I knew we’d be getting some stellar works from the genre’s best midlist authors. What I didn’t bank on was the mostly romance publisher upping the ante and letting loose some great e-book novellas as well – something that most of the bigger publishers in the genre don’t do. First up we were given the incredible literary stylings of Ronald Malfi. Borealis was a blast and an absolutely terrifying read. Now we’re being treated to the whirlwind, chaos-driven madness that long time genre heavyweight Greg F. Gifune has to offer. If this keeps up, I don’t know if I’ll ever be able to catch my breath. In the case of Catching Hell, Gifine pulls no punches, opting instead to go straight for the throat, effectively leaving all subtlety to the amateurs and the scribes of the creeping dread. This novella is about catching hell, and with that the author rips straight into the story and provides a wild ride bereft of anything even resembling meandering or slow. The order of the day here is speed, folks, and that’s just how he executes this novella – at a break-neck velocity capable of wowing and completely blowing out any ideas of a leisurely read. Gifune’s characters are strong. That’s pretty much the only thing than can be said about them that won’t sound like I’m blowing smoke. These kids are strong-willed, strong minded, and powerfully written. The choices they make are all rational, realistic, and don’t end them up in a happily ever after kind of scenarios, but instead have actual consequences that directly affect their present situations. This, in my opinion, is very rare in the horror genre. Gifune remarks at the end that this novella is loosely based on a real-life event that he, himself, was a party to. 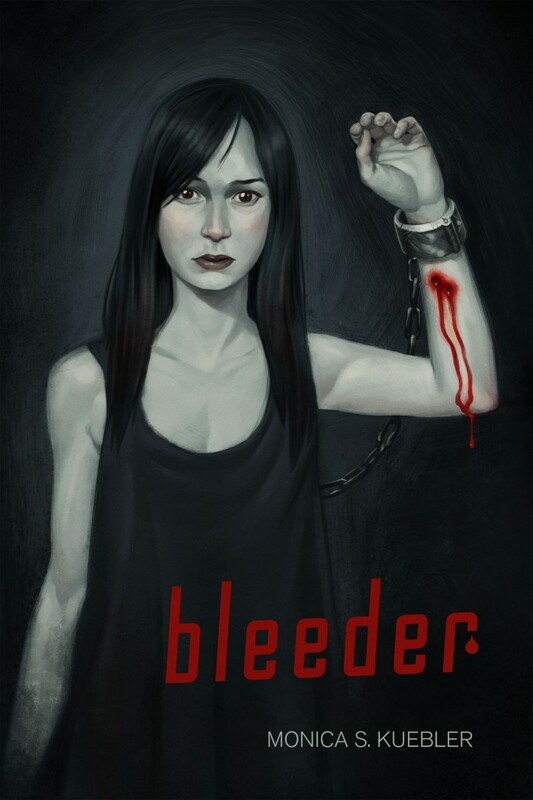 If it was anything like the craziness that goes down in this novella, I want to hear more. This is the stuff of nightmares. The major attraction with this novella is that while Gifune delivers, as I’ve said, a great piece of Splatterpunk/80s b-movie styled fiction, he completely avoids massive clichés and other heaps of genre silliness. The brunt of the story is told in a matter of fact way that barely requires the reader to suspend any disbelief. The only instance where the reader might find it to be absolutely necessary is upon revealing the ‘demon’ or ‘bad guy’, his cloaked minion (a defrocked minister), and the description of the evil thing, itself. I tend to like my demons with a little more exposition, but this one will do in a pinch. It’s not hard to find information on the ancient demon Lithobolia (a demon who seems much more frightening in other works of literature), but Gifune’s incarnation is the first I’ve read about it in modern tales but, unfortunately, feels hardly like an adversary worthy of such fear, and more like filler for an explanation as to why this cult is effecting such horrible practices on innocent parties that wander into the backwoods town of Boxer Hills. Regardless of the demon itself, Catching Hell is a wickedly fast-paced ride through Gifune’s madness, and a piece destined to become a ‘best of‘ somewhere down the road. This is easily one of my favorite reads of the year and makes me want to check out more of this author’s work. 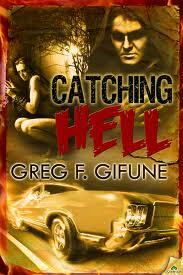 Catch some hell over at Samhain Publishing and/or Amazon. You can check out more information at Greg F. Gifune’s webpage, and say a big ol’ hello over on Facebook.